This Lionel Morrison designed property has been recently announced and awaits a large commercial tenant before construction begins. A sister property to One Arts Plaza, it is within walking distance to the symphony, art museums, and great dining. 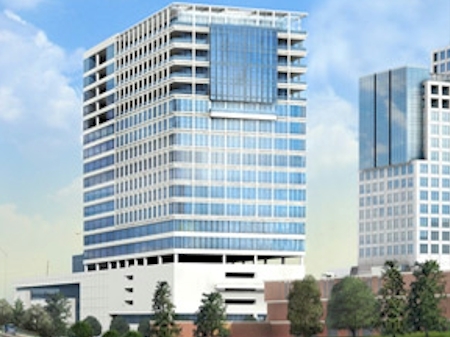 As of the 9 Nov 2012 Dallas News will not contain any residential units  12 stories of office space only.